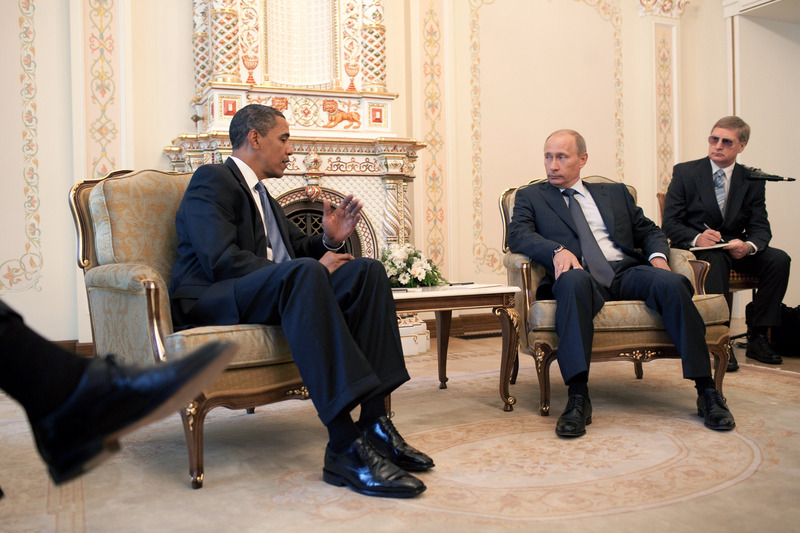 It looks like President Obama and Vladimir Putin will meet at the G20 after all. After the Russian President decided to grant asylum to NSA leaker Edward Snowden, several outraged congressional leaders demanded that Obama stay home from the upcoming G20 summit in St. Petersburg, the (dubious) theory being that this would somehow frighten Putin into turning Snowden over to the US. But Obama announced today that he’ll be attending the summit regardless, explaining to Jay Leno that the U.S. and Russia have "got to think about the future," and that "there's no reason why we shouldn't be able to cooperate more effectively than we do." Ever since Snowden landed in Russia in June, American officials have been begging Russia to extradite him to the U.S., despite the fact that the two countries have no extradition treaty. But Putin has been content “giving wedgies and making the Obama administration eat bugs,” as one commentator put it, not only refusing to extradite Snowden but granting him asylum in Russia for one year. While Putin's decision is no doubt aggravating to U.S. officials, the White House is acting from a position of weakness in this situation, and there's little reason to think anything would be accomplished by Obama staying home. In the meantime, some frustrated individual in a United States Senate office has found comfort in vandalizing Snowden's Wikipedia page, a tactic marginally more likely to ensure Snowden's extradition than Obama staying home from the G20 summit.